We focus on improving our clients' situation. Assist you to be better situated for the future. Allow us to be your trusted resource. We are in the business of providing appropriate solutions that are custom tailored to your needs. Talk to one of our experienced representatives and get the answers you need to your financial questions in order to find the right annuity product for you! We help clients use their periodic payments now to help them be better situated for the future, whether it is to pay bills, invest in income-producing property, make home improvements, buy a new car, or pay for education. We offer competitive pricing and can provide creative, flexible solutions to help our clients get the funds they need - immediately. If you have any questions, please contact our experienced annuity-buying specialists today. Just like anything else that involves money, you need to be aware of what certain phrases mean when it comes to annuities. It does not matter if you are signing the contract for your annuity or looking to sell it, you need to be aware of what terms your contract uses so you can spend your money correctly. Here are a few words you need to be mindful of when reading over your annuity contract. Share Class – Knowing what kind of share classes that your annuity falls under is crucial to understanding it as a whole. Share classes are what the speci fic stock in your annuity is classified as, and determine things like what kind of rights you have as a stock owner and what kind of fees you pay. Roll-up – The roll-up rate is something that every annuity owner should be aware of when reading over their contract terms. Essentially, it is the percentage in which your annuity grows when you start to draw from it. Knowing your roll-up rate can help you determine just how much you need to withdraw and at what pace to do it. 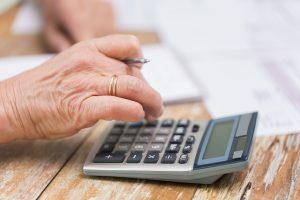 Surrender fee – Another important phrase you need to learn about for your annuity is your surrender fee and what how much you would need to pay for it. This is the sum of money you must pay if you get rid of your annuity before it has reached its full maturity. This is essential to look into, especially if you are researching on how to sell your annuity. When it comes to learning about the different types of annuities, we are here to help. Contact the experts at Annuity Capital, LLC for more information on your annuity today at (484) 319-4555. This entry was posted in Uncategorized on March 19, 2018 by Web.com (S.To). Is Cashing Out My Structured Settlement Right for Me? What Types of Annuities Are Available?